When I got home with a tiny baby in my hands, I couldn’t believe that it has happened. Baby girl, real, crying, sometimes sleeping, but most of the time quietly dozing in my hands.. I put her down into the crib hoping for a few minutes to grab something to eat… she fusses after two minutes, insisting on my hands. There is nothing like mom’s warmth and love. I understand. I wait, and wait, and wait. It’s been a day, and I have hardly had any time for myself. Hard, overwhelming. Yet, unique and magic. Happy. There are few moments as precious as the first days and months of a newborn’s life. The joy, excitement, and anticipation of the baby’s arrival makes for the perfect time to photograph the newborn and capture the first few glimpses of their life. 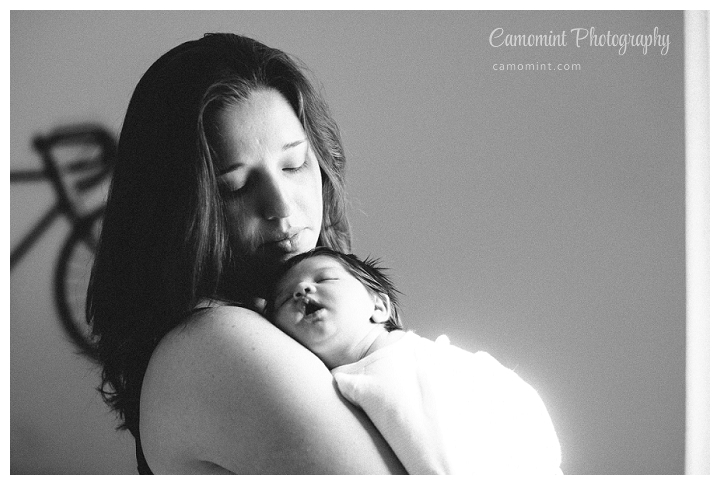 For parents who want to have a keepsake and remember their child at such a young age, Camomint Photography can show the true beauty of the baby with soft and lovely photographs that are simply gorgeous. As a premier baby photography in Columbus OH, Camomint Photography works hard to capture moments that last a lifetime and can be remembered in the coming years by shooting the most precious moments of a baby’s first months. From sleeping soundly to cuddling with the parents. Candid shots will show the true gift of the baby. As a photographer, it’s a joy to capture babies in their natural element with their mother and father nearby. I’m passionate about capturing sweet moments that will always be treasured by the parents and enjoy setting the scene for an unforgettable photo that can be displayed in the home. The perfect peace and innocence of babies always makes for beautiful images that truly represent the sweet moments of the child. With each baby I photograph, I work diligently to capture their personality and take photos of their smile, laugh, or when they’re in a deep slumber. I know that the pictures that are taken will allow the parents to enjoy the new season with the child and make for memories that are remembered as the child grows. The details and emotions in the photography have a personal touch that allows the photographs to have a professional and intimate tone for the family. Whether taking a photo of the baby yawning or a mother’s kiss on the child’s forehead, it will make for a true treasure that is invaluable. To contact Camomint Photography, please email or call us today. You can also schedule a session by using “Request session info” form to the right. Each appointment is intimate, personal, and special for bonding time between the parents and child for natural, unscripted moments.